Units Served: 32nd Battalion (Infantry) 6th Reinforcements. 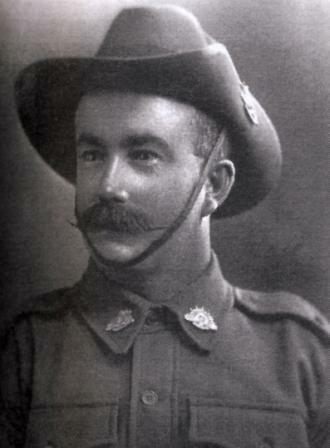 Personal Details: Arthur Edward Bray was born in Port Victoria South Australia to parents Albert and Anne. He was educated at Port Victoria School and was a butcher by trade. He was 5’ 6” tall with a dark complexion, brown eyes and had hair that was turning grey. Arthur enlisted on February 21, 1916 at the age of 30 years. On the 11th April 1916 Arthur left Adelaide aboard the “Aeneas” and then on the 20th June he boarded the “Huntsend” in Alexandria bound of r Marseilles where he arrived on the 30th June. He was then taken on strength by the 32nd Battalion in the field on the 29th July. On the 2nd November Arthur Edward Bray was wounded in action and was admitted to hospital with gunshot wounds to the right shoulder on the 4th. 6 days later at 10:40 am on the 10th November, he died of these wounds at the 1st General Hospital at Etretat, France. Age at Death: 32 years old. Cemetery or Memorial Details: FRANCE 121 Etretat Churchyard.